i now understand why i love this song. i have been waiting 24 years (2012 - 1986) to use this song in my blog! in fact, at one point i could play the intro on the piano. at least i can still whistle this happy tune! gotta love the big hair days of the '80s! my upcoming fantastic voyage is finally here! i'm off to see Europe - not the group (i wish), but Dublin, Ireland, for the next 50th International Eucharistic Congress! wow! it is the final coutdown (1 week, 0 days, 22 hours). i've been working on this for over a year now, and it is official. we are 26 from the Archdiocese of Ottawa to join about 940 Canadians, and almost 15000 pilgrims for the week. this is going to be a week long party for the Universal Church, in the particular Archdiocese of Dublin. i hope to be able to blog a bit while overseas. i also will have my futuristic cool smartphone with me, and plan to take photos - posting them when time permits to Instagram, Facebook + Twitter. maybe, if technology permits, and i have another SIM card, i may live tweet (hastag #iec2012) some of the conferences! please join us next week - June 10 -17, by praying the IEC2012 prayer daily. so maybe another post or two before i go. but these words ring true - we are leaving together, and maybe we will come back ... to earth that is! after diving deeper into the Mystery of the Eucharist for a week, i'm not sure anything will be the same again! 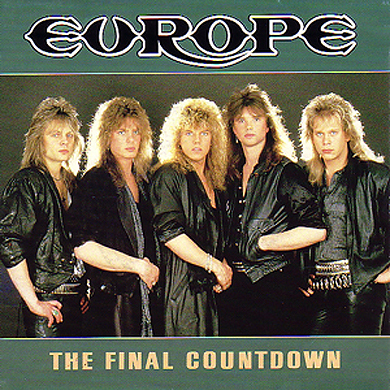 you see, it is the final countdown! see you soon. peace.